This entry was posted on Wednesday, December 7th, 2016 at 9:15 pm. It’s here! 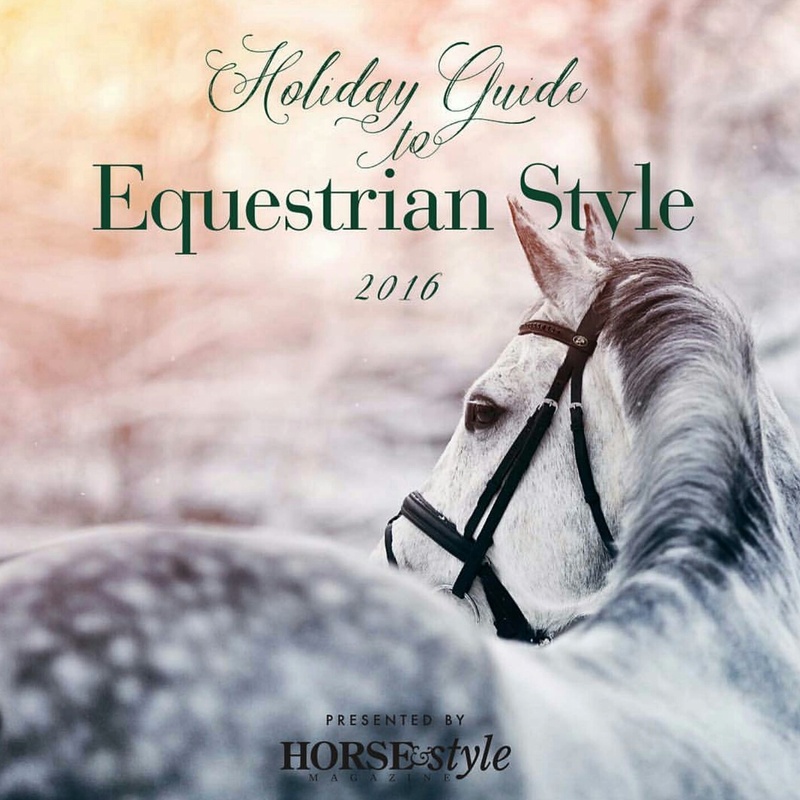 Horse & Style Magazine just published their annual Holiday Guide to Equestrian Style! This year you can find the guide both online and in print! I wrote an article, “Holiday Entertaining – Equestrian Style,” featuring some of my favorite equestrian companies. First up is L.V. Harkness with their gorgeous holiday table settings and dining accessories. Seven Barks, a new company by Rebecca Ray (of Rebecca Ray Designs) and her brother, showcases their luxury, customizable paper goods. Sycamore Hill is featured for their exceptional personalized silverware; I adore my Win-Place-Show butter spreader! Candles Off Main can be called upon to help set the mood and ambience with the perfect fragrance. And Rebecca Ray Designs is back with some lovely hostess gifts! Merry Christmas, happy holidays, and happy entertaining – equestrian style! !